I woke up early the next morning and began my personal sightseeing tour down Magnificent Mile, all the way to The Bean. Quick tip: If you want photos without tons of random people in the background, get there early. Both times, we arrived at The Bean in the wee hours of the morning and were able to take plenty of photos without crowds of people in the background. 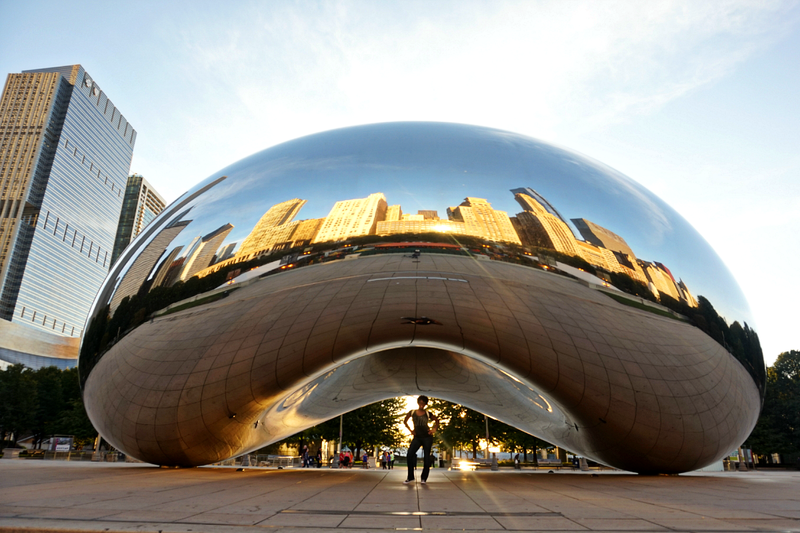 The Bean is even more gorgeous in person, so definitely be sure to add it to your sightseeing itinerary. 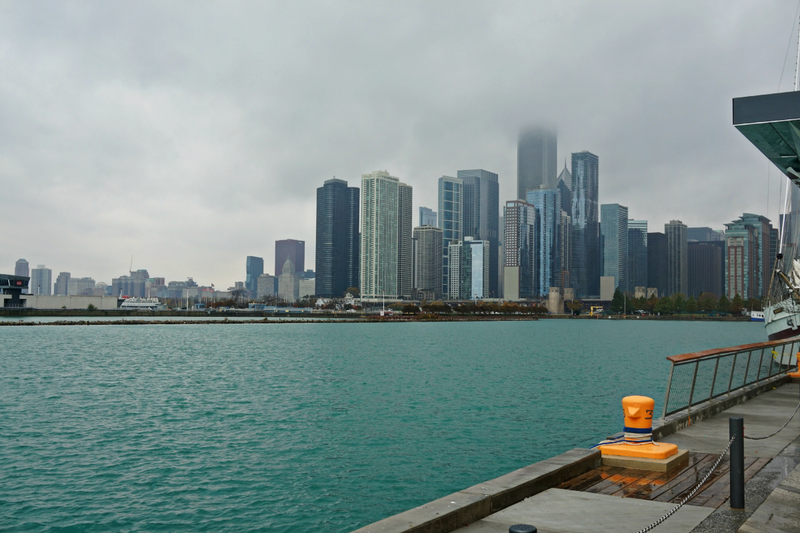 Originally designed for shipping and recreational purposes, The Chicago Navy Pier was constructed in 1914. During World War I, the Pier became home to several regiments, The Red Cross and Home Defense units. The Stock Market Crash and the Great Depression, caused a massive decline in freight and passenger ship activity, but the pier still managed to keep it doors and docks open to the public. 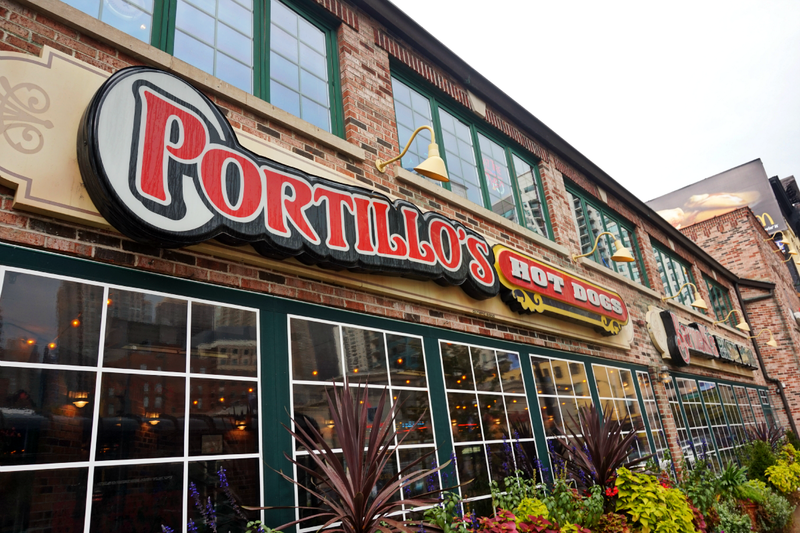 Today, The Navy Pier is the largest entertainment and restaurant destinations in Chicago. 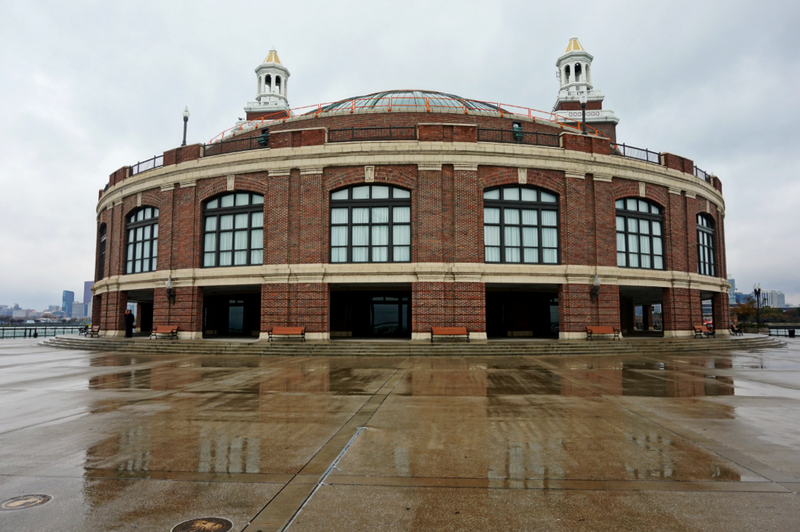 The Chicago Navy Pier will celebrate it's 100th anniversary in 2016. I missed out on The Pier on my first trip, so the second time, I made getting to The Navy Pier a priority. Sadly I wasn't able to ride the Ferris Wheel since it was being dissembled, but it was still in a wonderful experience. I truly had no idea just how large Chicago was until stood on the deck of The Pier and just looked at the Monmouth skyscrapers that just went on for miles. Incredible. 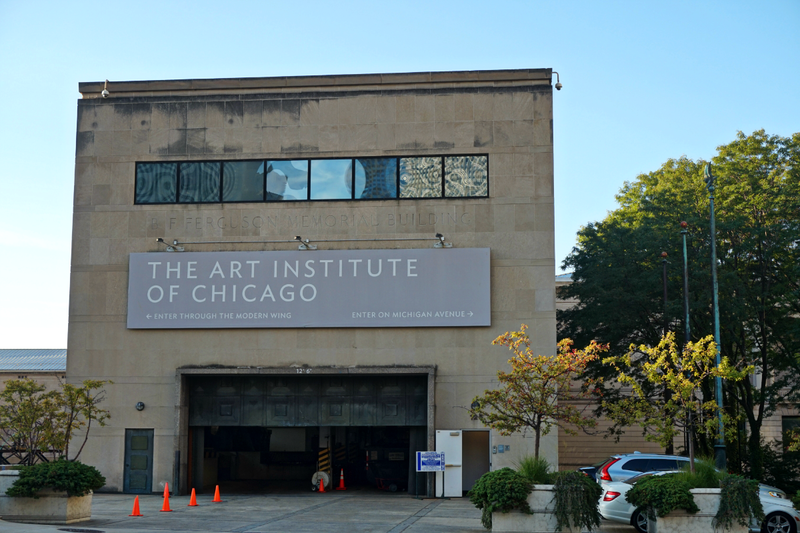 Located in Millennium Park, The Chicago Institute of Art features a collection of art in its permanent collection. It is currently the home of some of the most important contributions to Impressionists and Post-Impressionist artwork including, Claude Monte: Haystacks & Water Lillies, Gustave Caillebotte: Paris Street; Rainy Day, Henri Matisse: Bathers by a River, Vincent van Gogh: Bedroom in Aries & Self-portrait. The Willis Tower is a 108-story tower in the heart of Chicago. At its completion in 1973, it was the tallest building in The United States. It held that title for nearly 25 years when it was surpassed by the One World Trade Center building. It is now the second largest building in the United States. More than one million people visit its observation deck each year. ::Ehhh:: I'm just adding it to the list because it's a major travel destination in Chicago, but personally I figure once you've seen one skyscraper, you've seen them all. I'm also not into spending money needlessly, and $20 just to visit the top of The Willis Tower seems a bit excessive. 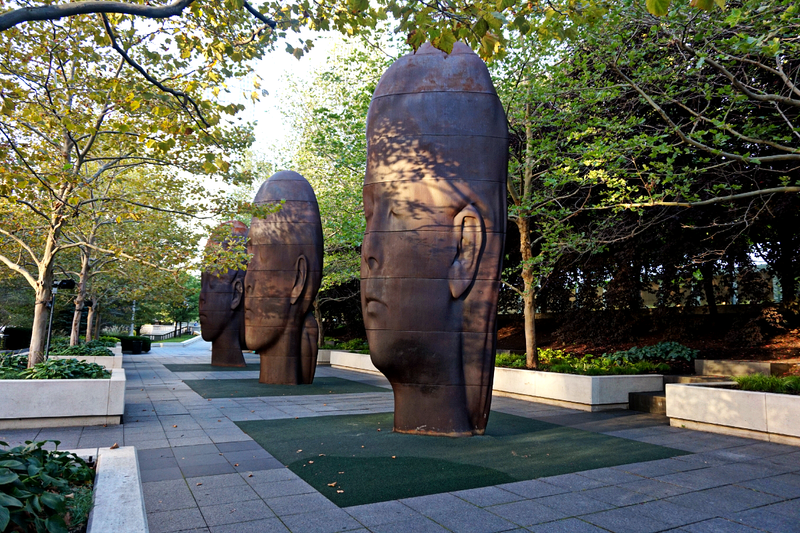 To commemorate the 10th anniversary of Jaume Plensa’s Crown Fountain, Plensa presented four new sculptures installed in Millennium Park for the special exhibition titled 1004 Portraits. The sculptures are portraits of real girls which he created using cast iron and resin. 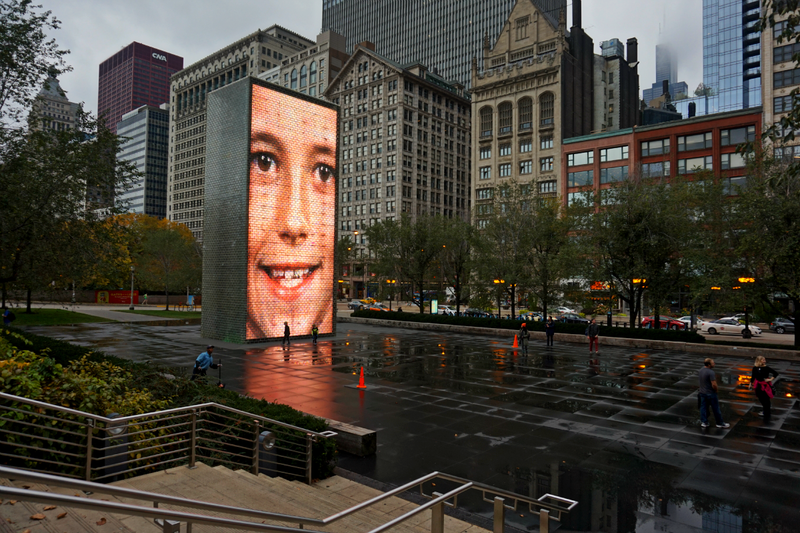 They continue the story of the original 1000 portraits of local Chicago residents that illuminate the Crown Fountain every day. 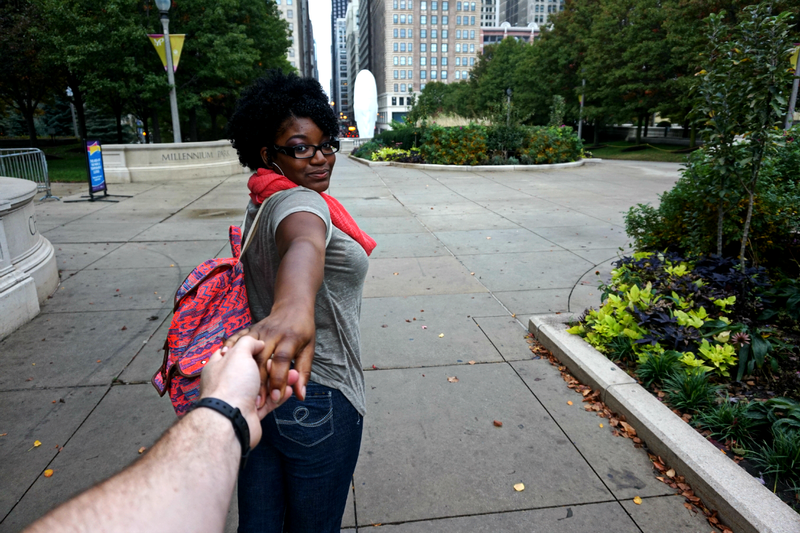 Of all the destinations we visited in Chicago, this is surprisingly one of my favorite. There is something that is so peaceful, and yet so hauntingly beautiful about the Boeing Gallery. I'm an artsy person, but never before have I been so affected by a sculpture. This is a must see while in Chicago. You know how every city is famous for a food that they claim is "amazing?" 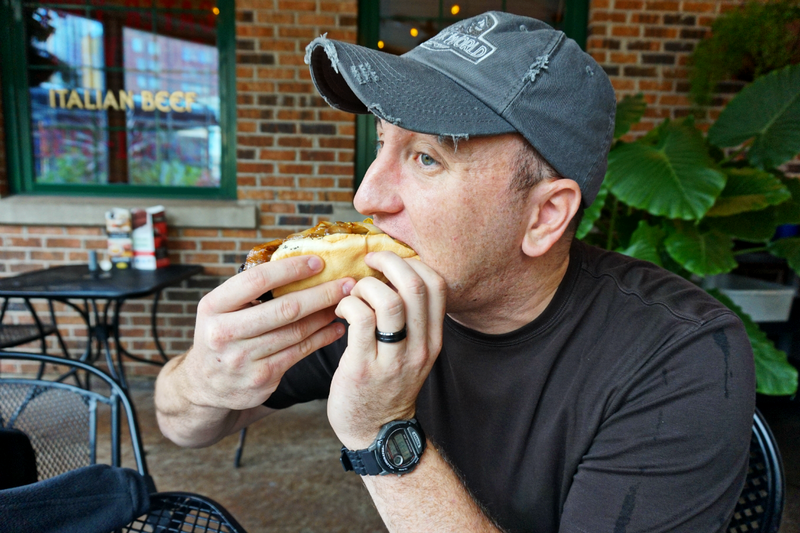 Well Chicago's deep dish pizza and hot dogs are just that--amazing. If I had to only eat one food for the rest of my life, it would be a Philly Cheesesteak and Chicago Deep Dish Pizza hybrid. My first trip, I check out Pizano's. This is a family owned restaurant located in the heart of downtown. What I liked: It was a mom and pop kinda place where all the locals gather. I loved the intimacy of the place and the lack of professional design. There was pretty much no rhyme or reason. Random photos with mismatched frames, and colorful Christmas lights hung on the bar. It was noisy, and crowed, and had very dim lighting, but I loved every bit of it. What I didn't like: Nothing. I loved everything about this place. Even the fact that it took 30 minutes to make my pizza (which is typically how long it takes to make a deep dish in Chicago, so be prepared to wait). The 30 minute wait gave me plenty of time to wander up and down the block and check out the Chicago night life. For the next trip, James and I wound up at Giordano's under the recommendation of a true-Chicagoan. What we liked: The Pizza was amazing. Like ridiculously so. You can also order and ship their Pizza anywhere in the US. 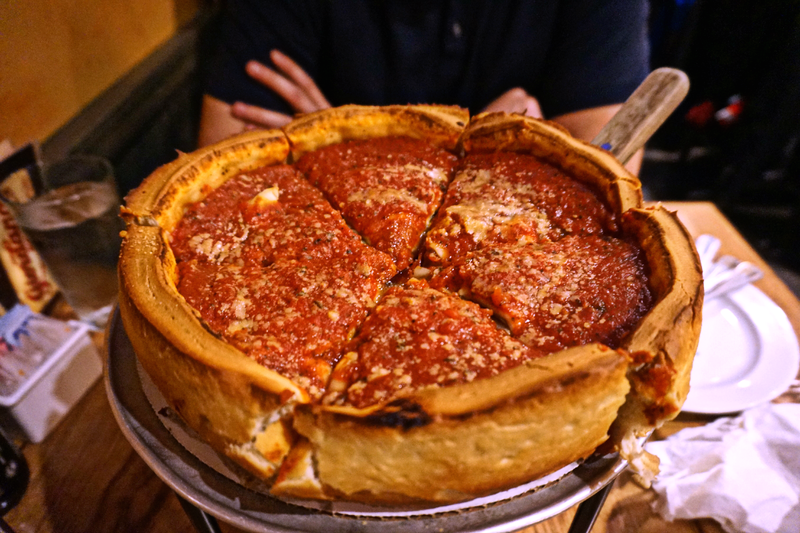 What we didn't like: Giordano's is a chain-restaurant. Which is cool if you're into that sort of thing. We're not. But again, shipable pizza, so that evens everything out. What we liked: EVERYTHING. This place is fantastic. It's huge, has tons of history and the most delicious hotdogs you will ever eat in your life. 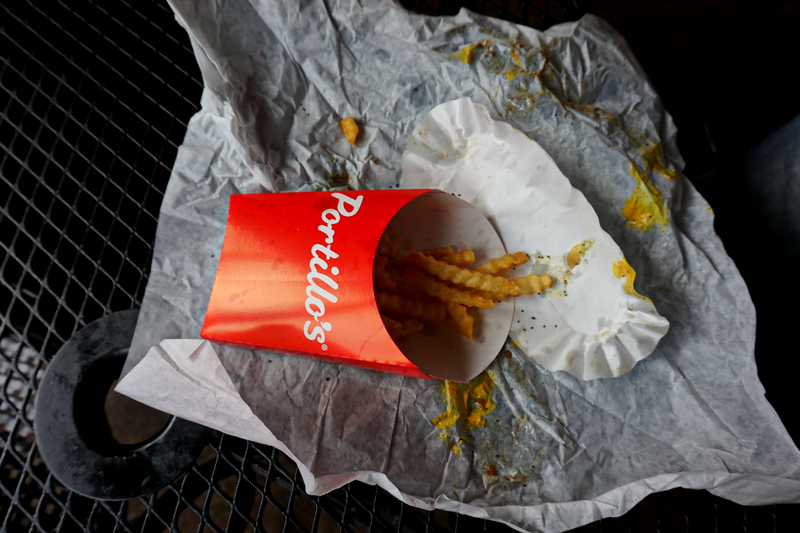 It had a real local vibe, like it was the best of Chicago, all under one roof. What we didn't like: Um nothing. Did you see the part about the delicious hotdogs? Staying Downtown is a MUST. Let me repeat that, stay downtown when you're visiting Chicago! I know, the hotels can be outrageously expensive depending on when you book, but ultimately, if you're downtown, you're going to save some serious $'s in cab/travel fare. The first time I traveled, I choose wisely. 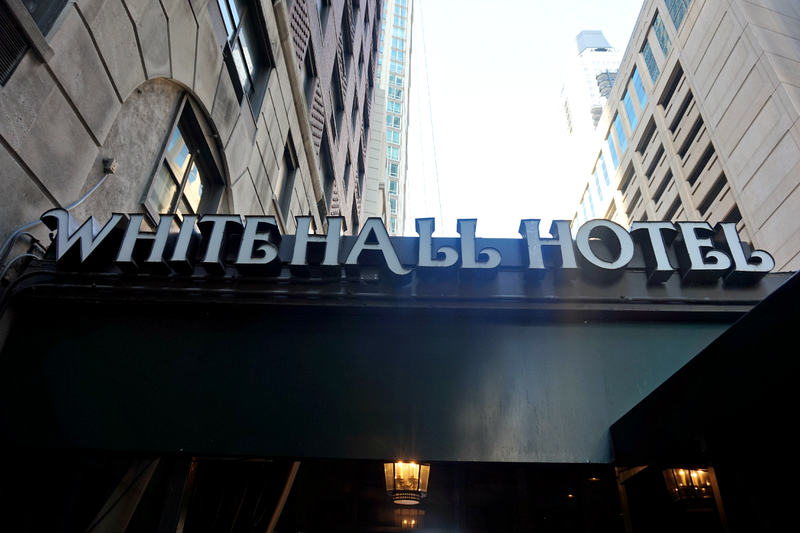 I stayed in The Whitehall Hotel. One of Chicago's oldest hotel, it is located one block away from magnificent mile. It was fabulous. (Just stay away from the mini bar--$5 for a small Fiji water, no thank you). While we're on the topic of cabs and travel, let me give you the best piece of advice you'll read in this post. Avoid cabs at all cost. Believe me, it was an expensive mistake I made the first time around, and luckily managed to avoid during the second trip. A very kind woman we met in the hotel lobby hooked us up with two free rides from Lyft and Uber, but even without the free rides, these alternatives are much cheaper in comparison to a cab. To give you an idea, the first time I took the cab from their airport to my hotel downtown. The ride was roughly 25 minutes and cost me $35. The second trip, we took Lyft from the same hotel, to their airport and spent roughly $18, including the tip! Big difference! Take an Uber or Lyft and tip well. We didn't get to ride the L, but we did get to check out the bus system. Easy to navigate and right on schedule. We purchased an all day pass for $10 per/ticket. Worth it in my opinion if you're planning on using the bus or L frequently. So this basically sums it up. 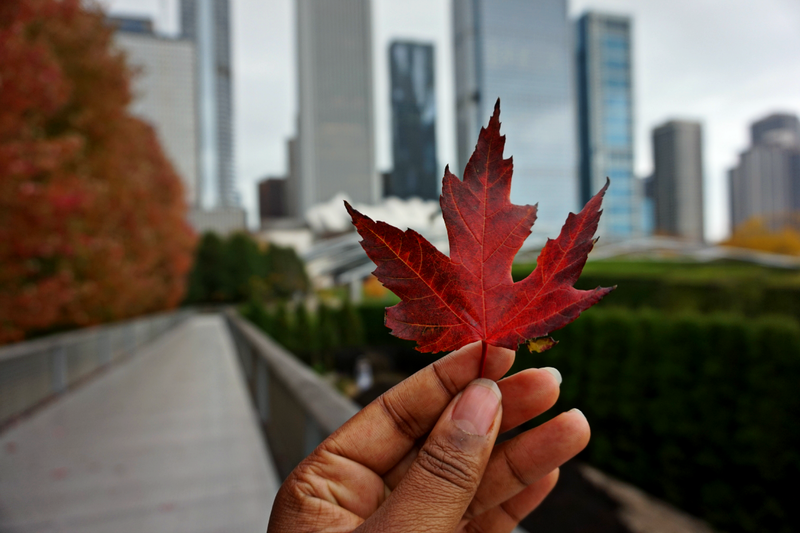 Chicago is a gorgeous city and I highly recommend adding it yo your travel itinerary. Because Chicago has such a large airport, it's relatively easy to track down an expensive ticket to travel to The Windy City. Have you ever been to Chicago? 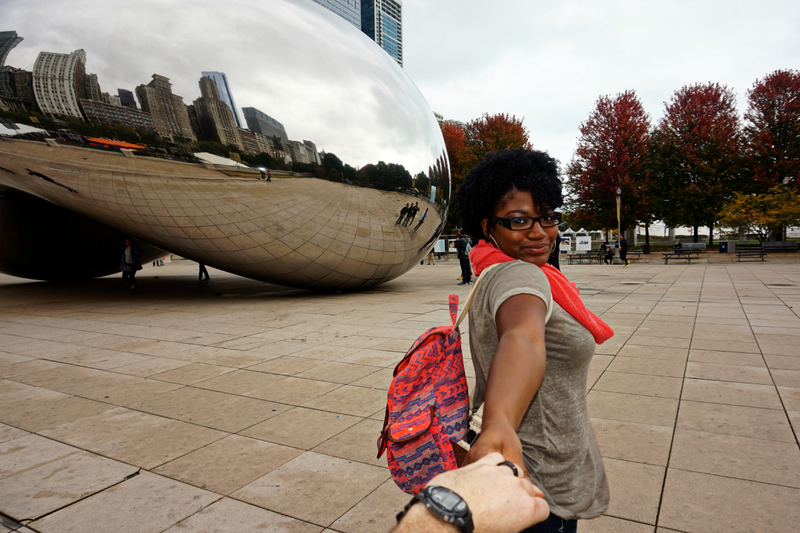 What Chicago sights would you add to this list? So fun! Chicago is on my "to see" list someday. Going to pin this for reminders. I love, love, love that pic of you two at the Bean - so cool. Chicago is amazing! Thanks for reading. I hope you get the opportunity to visit one day! I love your style here and this food looks amazing! Thanks for this article. 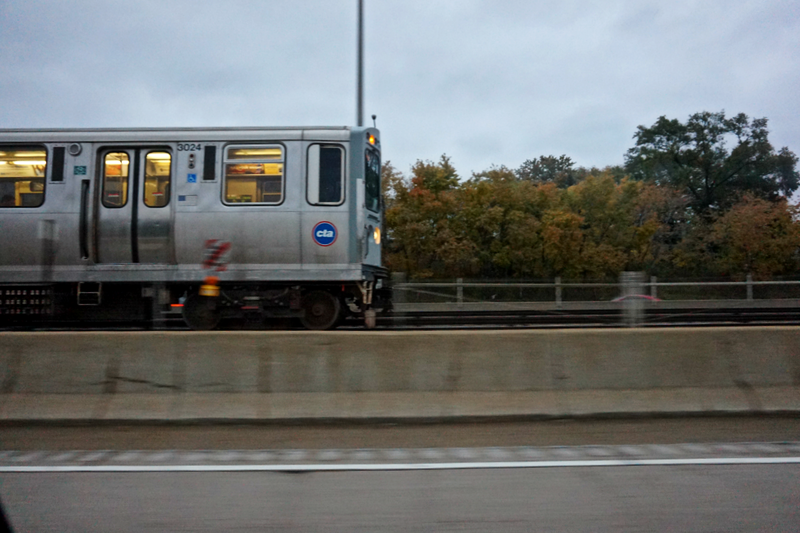 I'm a loyal Chicagoan and commute daily to the Loop. Your coverage is spot on! But there are STILL sooo many more things to do in ChiTown - especially in the summer. That's when the city catches it's "stride" so to speak. Hopefully, you'll be able to visit during that time too. You won't be disappointed.